I call it the Pew Problem: the feeling of wanting to move around but you cannot because you are constricted by the rows of seats around you. 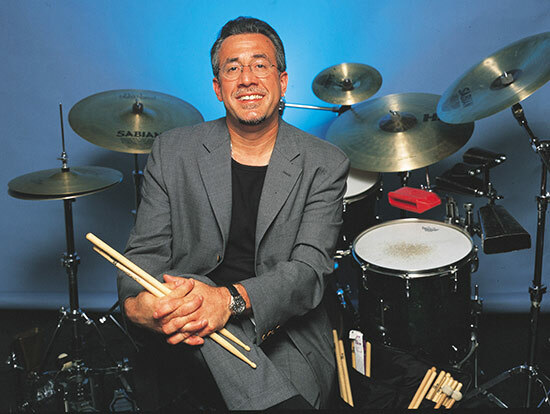 That is how I felt Saturday night at the Afro-Cuban Bobby Sanabria Band’s performance at York College with special guest, legendary percussionist Candido Camero. But that is a sign of how good the show was. On Monday, Sanabria came to lecture my Jazz class about how the rhythmic pattern of clave in all of the popular music we have today and the whole time he was using claves to make the beat while he spoke and never made a mistake. So, I wanted to see how impressive he was as the leader of his own band (I saw him once before as part of my professor Eugene Marlow’s Heritage Ensemble) and he amazed me even more than before. The band included Sanabria on a drum kit, a horn section, bass guitar player, piano player, two conga/bongo drum players and a percussionist (maracas, guiro). Sanabria stands out not only as a lively drummer and drum leader, but also as a music historian. Each song he tells of the history behind and a story about the people who influenced him, including Consuelo Velazquez‘s “Besame Mucho,” Cuban composer Rafael Hernandez‘s “Cachita,” Machito and His Afro Cubans, Duke Ellington, and a tribute to the special guest, Camero. 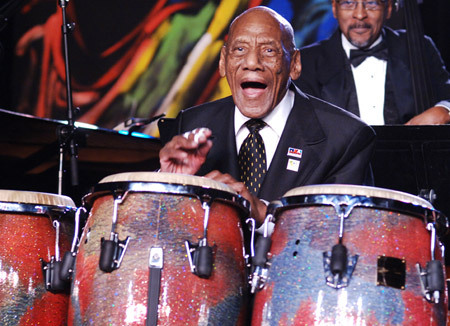 And it was the 90-year-old Jazz Master, Camero, who ended the show on a high, performing on his famous group of three conga drums as great as someone half his age. Despite walking with a cane, he even did a little dance for everyone still showing his vivacity. These two men definitely deserved the awards presented to them by council member Leroy Comrey for Latin History Month. The entire band needed awards for having me restless in my seat. Despite sometimes fumbling with music sheets, the horn section, drum and piano solos were on par with Sanabria, considering some of the musicians were his students. I probably don’t have time for it, but I already want to go to his next performance, which will be him conducting the Afro-Cuban Jazz orchestra at the Manhattan School of Music for “Mambo Night in Hollywood” on Oct. 20. Hi Aker its been good reading through your blog site and just simply thought I would say thanks and wish you all the best.